A record producer or music producer has a very broad role in overseeing and managing the recording and production of a band or performer's music. 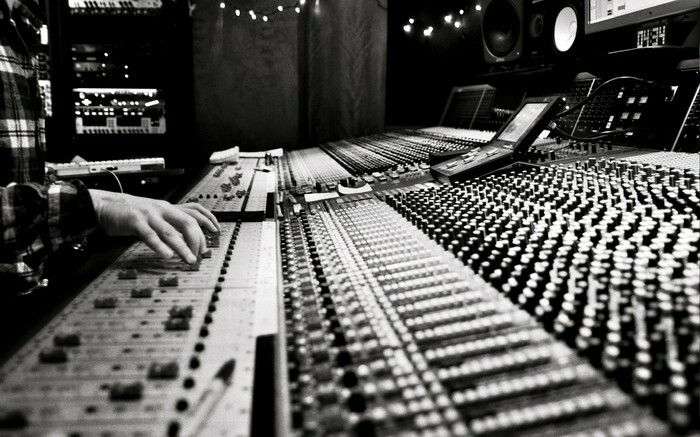 A producer has many roles that may include, but are not limited to, gathering ideas for the project, selecting songs or session musicians, proposing changes to the song arrangements, coaching the artist and musicians in the studio, controlling the recording sessions, and supervising the entire process through audio mixing and, in some cases, to the audio mastering stage. Producers also often take on a wider entrepreneurial role, with responsibility for the budget, schedules, contracts, and negotiations. In the 2010s, the recording industry has two kinds of producers with different roles like executive producer and music producer. Executive producers oversee project finances while music producers oversee the creation of music. Music career information and a complete list of music schools in the United States, Canada, and the UK. Also featuring music business contacts. I chose this career because I've always loved music and have always had an ear for it. I started making beats when I was 15 years old off an old Casio keyboard. I attended Flashpoint Academy for two years and have a degree in sound engineering after that I interned at Chicago recording company when I was 21 years old and it was the best two years. My hours were insane when I was there worked very late nights and sometime very early mornings. I started very small like getting food for the producers but slowly gained an amazing amount of experience. You must have a lot of heart and passion for this if you don't it just won't work. How hard is Producing Music? Producing music isn't easy all the time but it comes naturally and I'm inspired by everyday things I see sounds of you will. It's a awesome and very competitive career. Choir: You could take this class if you to be a singer and have a better voice. Jazz Band: That will also teach you how to play the trumpet and guitar. Music Theory: This class will teach you about the basics. Music History: This class is like a history class but for music it will teach you about how pop started and how different genres started. Los Angeles College of Music: A college located in L.A and it teach students to play all of the musical Instruments. Individuals searching for Best Schools with Music Production Programs: List of Top Schools found the following information and resources relevant and helpful.